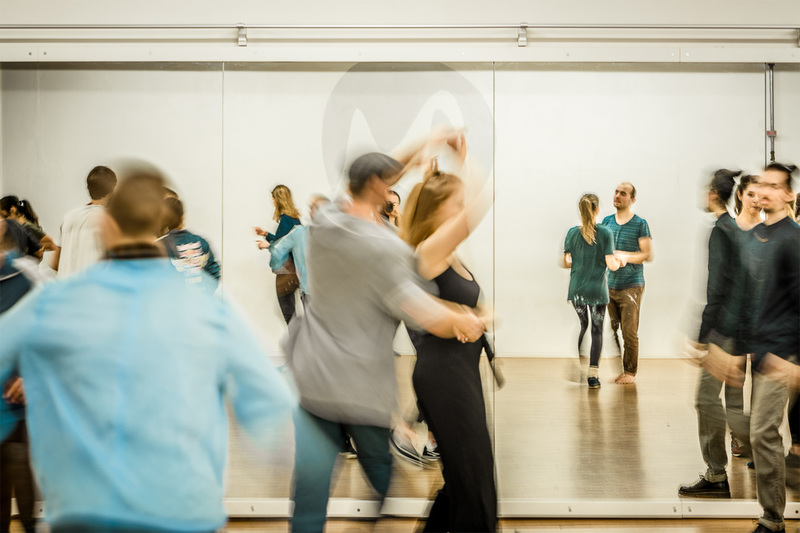 motion*s is a community–a place where people come together to enjoy their common passion for dance. On a monthly basis, we organize partner dance courses followed by a dance party or jam to help get you in the mood for your Saturday night. Let your dance partner whirl you across the room to urban grooves in motion*s own Berlin Freestyle Hustle. No need to bring a partner—we rotate the dance partners several times throughout the class. Afterwards, the fun continues with an open party to which you and guests are invited to join at any time! Approx. 60 minutes dance class followed by a dance party.